As the closest destination that guarantees a warm Christmas, it’s easy to see why hundreds of Brits flock to the Canary Islands every year. The best thing about the islands is that each one has a different culture and personality so you can find the Canary Island to match your ideal Christmas. Discover gigantic hand-sculpted nativity scenes built onto Las Canteras Beach in Gran Canaria or touch down in Tenerife to join hordes of carollers each night as they recite everyone’s favourite Christmas songs. You’re sure to be both warm and surrounded by holiday cheer no matter which island you visit. If possible, stay through to the 5th of January as the three wise men from the nativity visit the islands bringing presents, fireworks and more for revellers. Although it’s easy to think that the home of theme parks is only open during the summer months, Orlando has plenty to offer visitors throughout winter. The temperature rarely drops below 70°F so you’ll never find yourself shivering as you enjoy either Mickey Mouse’s Christmas Party at Disney or the Macy’s Holiday Parade at Universal Studios. There’s plenty to do in Orlando even if you’re not a fan of theme parks with incredible Christmas lights at Jeterbend, a Polar Express running from Mount Dora and an incredible Now Snowing festival in the picturesque town of Celebration. Offering a much more traditional festive experience than many other European nations, the island of Malta is the perfect quiet Christmas getaway in the sun. While you’re walking the streets, you may notice very few Christmas lights in Malta, however, you will find they have been replaced by extremely detailed nativity scenes call Presepji which often feature lights and moving parts. Be sure to go to midnight mass at St.John’s Co-Cathedral in the nation’s capital, Valletta, on Christmas Eve if you’re staying over Christmas – it’s an extra-special ceremony that involves paintings from the famous artist Caravaggio. 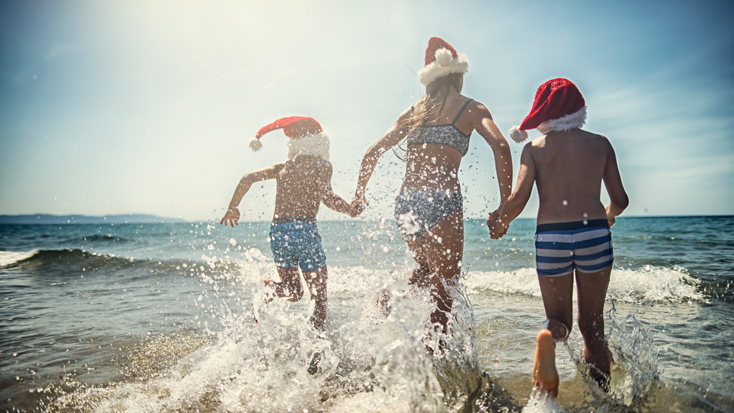 So, if you’re hunting for frost-free festivities this Christmas there are plenty of flights at East Midlands Airport to help you find some winter sun.